I grew up in Durham, NC with my parents and three brothers – I spent most of my childhood days jumping on our trampoline, singing from our swingset, exploring the woods in our back yard, or riding bikes on our street. I still like to explore, hike, travel, and teach myself new things. I have three wonderful kiddos (7, 4, 1) who made me a mom and are constantly teaching me to appreciate the moment. In my spare time, I like to crochet amigurumi stuffies for my kids and their friends and I’m learning how to garden by watching YouTube videos. I got my undergraduate degree in History and Secondary Education at NCSU (Go Wolfpack!) and after I had taught social studies for several ye ars, we ended up moving to Seattle for work while I was pregnant with my oldest. There, we started our family and had our first experience with PEPS. My PEPS group is still a huge source of encouragement to me even though we are now back in the Triangle. While in Seattle, I also got my MPA from The Evans School at UW (with the encouragement of my PEPS group!) and that’s when we started making plans to found TAPS. I founded TAPS because I saw a gap in support services for parents. The Triangle has lots of new transplants from all over the country. Many people come here for job opportunities or for school and then stay because it’s such a great place to live! When couples start families they often find themselves far away from the aunts, uncles, and grandparents and they need support from friends. While I was in Seattle making life-long friends (who my kids still call “Auntie” and “Uncle”), many of my Triangle based friends were also starting families and having a completely different experience. One friend felt isolated because of how far away from others she lived, another struggled with postpartum depression and didn’t get help until her child was almost 1. While I knew that I couldn’t change my friends’ first experience with parenting, I knew that we could work together to change how other new parents begin their parenting journey. TAPS helps families form lasting relationships while also helping to connect them to all of the amazing resources that the Triangle has to offer. We’re super excited to be a part of the PEPS Network and be able to offer PEPS rich history and experience to families in the Triangle. The Triangle is a mix of urban and suburban neighborhoods tied together by the historic tobacco road, our collegiate rivalries, and the concentrated number of job opportunities in the Research Triangle Park. 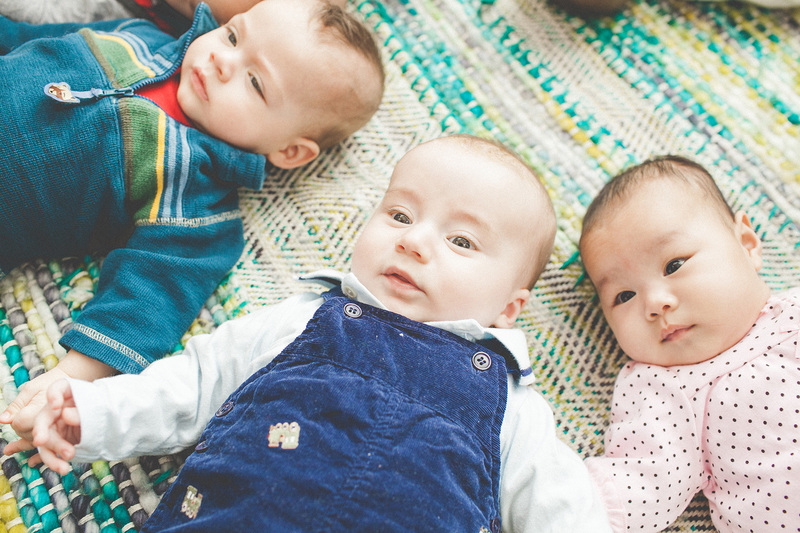 TAPS serves parents all over the Triangle with regionally specific groups for both parents of newborns and older babies. Because so many moms return to the workforce quickly after giving birth, we are also working hard to serve them with groups on the weekends. We just started 5 groups serving 38 families and have at least one more group planned to start this fall!